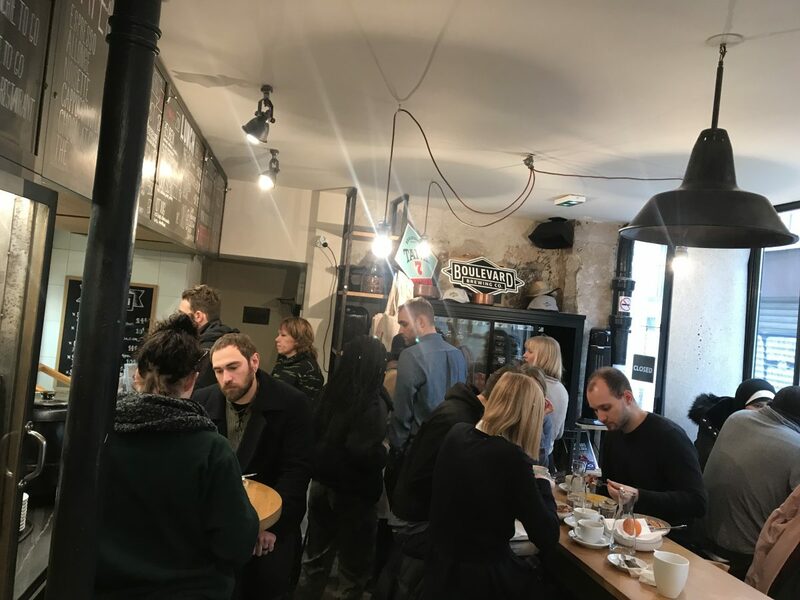 If you only have time for one breakfast in Paris, you really should check out Frenchie to Go. It’s the creation of Gregory Marchand, who owns Frenchie just next door and also Frenchie in Covent Garden, London. It’s a cute little Parisian street with a butchers, greengrocers and coffee shop all within spitting distance. 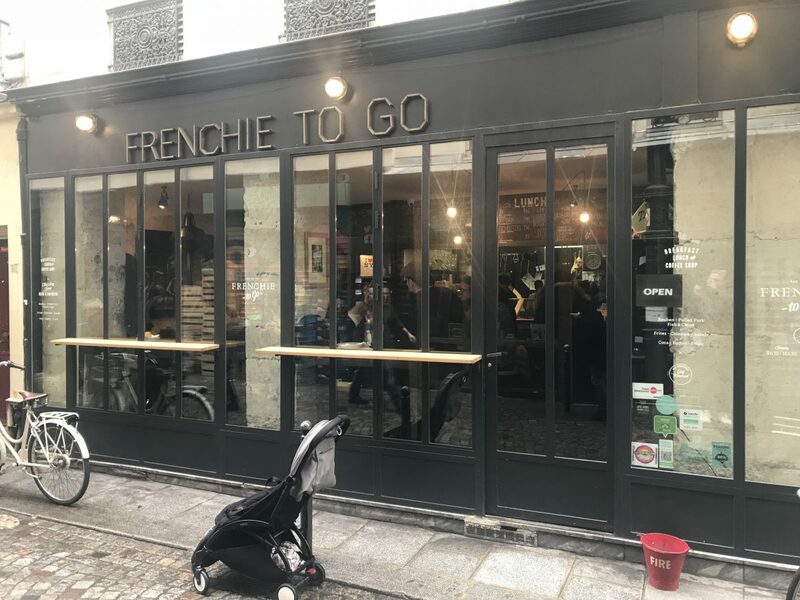 As the name would suggest, Frenchie to Go isn’t a full-on restaurant experience, although there are a few stools to perch on. You order at the counter then wait for them to yell your name while listening to French hip hop. It‘s very trendy. We visit for breakfast which seems to be their ‘thing’. The lunchtime pastrami sandwiches look decent too. They’re closed for dinner just so y’know. 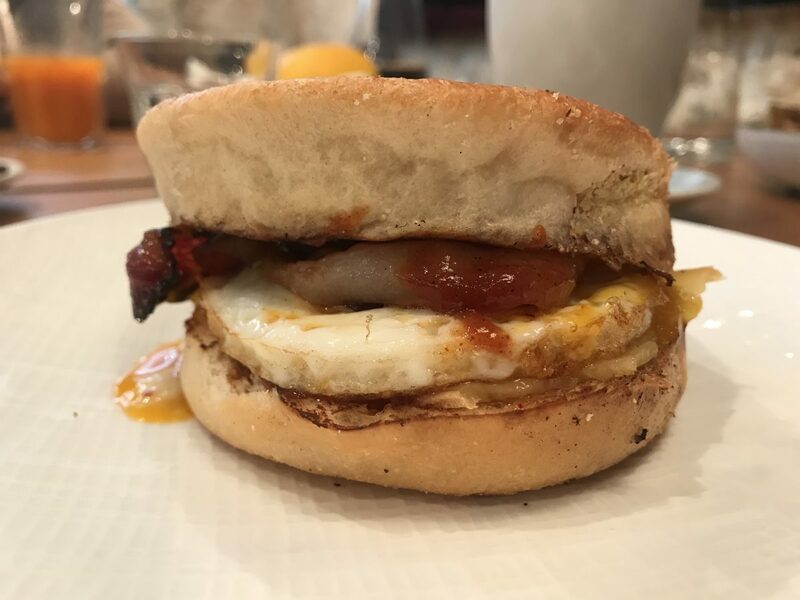 I go for a bacon, egg and cheese muffin (€9.50) which is absolutely lush. The English muffin has all the butter and flake of a croissant. The slice of American cheese, just melted, holds everything together and the fried egg is clearly of great quality as the yolk is bright orange. The bacon is wafer thin and mainly fat which gets super crispy. My gentleman companion goes for the Full Frenchie (€12) which sees more of that bacon (it might be some of the best bacon I’ve had) and fried eggs with wobbly yolks along with a couple of strips of bubble and squeak. They’re the right blend of crisp and squidgy. We grab a cold pressed carrot juice and a cappuccino (flat whites seem non existent in Paris yet) and go on our merry way exploring that gorgeous city. 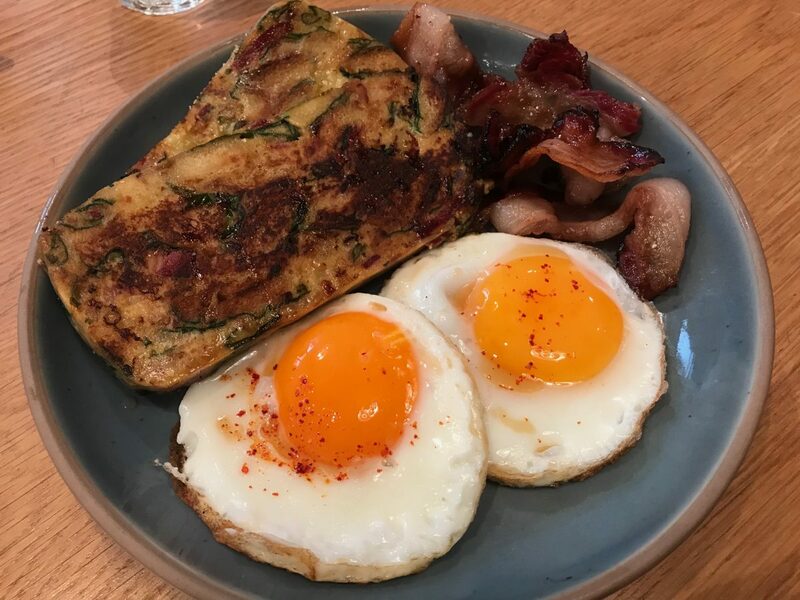 An overnight stay at nearby The Hoxton then breakfast at Frenchie to Go is the perfect way to do it.